Auto accident injuries don’t always heal right away. Depending on the nature of the crash an accident can lead to whiplash, torn ligaments, damaged nerves or even impacted vertebrae. These types of injuries can be long lasting, but the pain doesn’t have to last. 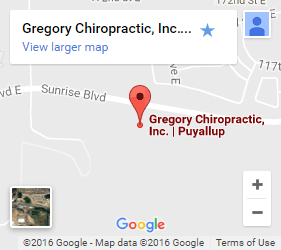 As an auto injury chiropractor in South Hill, Dr. Bob Gregory is skilled at working with patients suffering from pain due to new and pre-existing injuries. If you’re suffering from any of the following symptoms, contact Gregory Chiropractic now. Get relief from your auto injury. 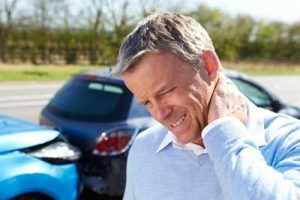 How does an auto injury affect your body? One of the most common injuries to the body after suffering from an auto injury is to the soft tissue. Soft tissue includes ligaments, muscles, spinal discs, tendons, and more. Spinal compressions and inflammation can affect nerves as well. Scar tissue can also accumulate in any of these areas causing reduced mobility, lasting pain, and affecting nearly everything surrounding it. Find relief with auto injury chiropractic care. Spinal Manipulation – This corrects imbalances in the positioning of spinal vertebrae and helps to restore full range of motion and reduce pain. Nerves may also be compressed when vertebrae are improperly aligned. Correcting the subluxations can alleviate many of a patients’ symptoms. Stretch and ROM exercises – Manually stretching specific muscle groups and instructing the patient in how to perform range of motion exercises can lead to immediate and long-term relief. This allows weakened muscles to strengthen and rebuild over time. Trigger Point and Massage Therapy – Massage and trigger point therapy work to relieve tightening muscles. Trigger areas that may be affecting other parts of the body see specific on/off pressure and massage. Massage also aids in the breaking up of internal scar tissue that may be constricting muscles or affecting the nervous system. Contact us for lasting relief. Whether you’ve been recently affected, or suffered from car injury related pain for an extended period of time, relief is possible. Call or contact us today to find out more about our services, schedule an appointment, and start on the road to recovery with the help of an auto injury chiropractor in South Hill.